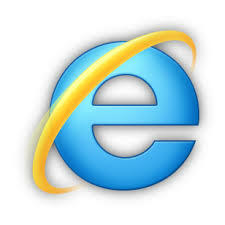 Microsoft’s latest Web browser is Internet Explorer 11. It made its debut on Windows 8, but it’s also available for the more widely used Windows 7, which still runs on most PCs. Here are a few features that you can expect to see if you adopt IE 11. Window and Controls. IE 11’s interface gives more area to the webpage contents and less to the browser’s features. Tabs. IE’s simple, squared-off tabs have some nice capabilities. IE lets you drag a tab’s position or even pull it out into a new window. New Tab Page. IE’s new tab page shows tiles for your frequently visited sites (which you can edit or hide), but it also lets you reopen recently closed tabs, reopen the last session, or start InPrivate browsing. Pinned Sites. By simply dragging a webpage’s icon down to the Windows taskbar, you create a pinned site. The One Box. Internet Explorer’s combined address and search box—the One Box—protects privacy by letting you turn the autosuggest feature of your search engine on and off. Excellent security and privacy features. IE hasn’t had the best reputation when it comes to security but it’s made great strides in protection from malware in recent years. Explorer has a whole menu called Safety, from which you can choose privacy and security protections. These include SmartScreen Filter, which warns you when you try to navigate to malicious sites or download suspected programs. IE 11 is not the Internet Explorer of five years ago. It’s faster and more secure than past releases of IE have been. There are also some nice features that you can take advantage of. Do you have additional insights to share about Internet Explorer 11? Internet Explorer9 is good, but the version 10 is the best. The features are great and it is also a great competition to the other web browsers like Chrome and Firefox.